It's the inside journey that really matters, isn't it? Sure, the outer, physical journeys and travels that characters go on are more flashy and adventurous, and most assuredly help keep us entertained and engaged in a text, but the inner journey... lasts. It's the change and growth that happens to the inside of a main character that can often change us, right? Think of a piece of literature you've read that made you look at life a little differently, or that even made you do your life a little differently. I would bet that the main character in that book was the main ingredient in how it affected you. For me, I think of Billy from Where the Red Fern Grows, and Tom Joad from The Grapes of Wrath, and Edward from The Miraculous Journey of Edward Tulane. I want my students to soak up what a main character has to offer, to go further than simply noticing a change by the end of the book. 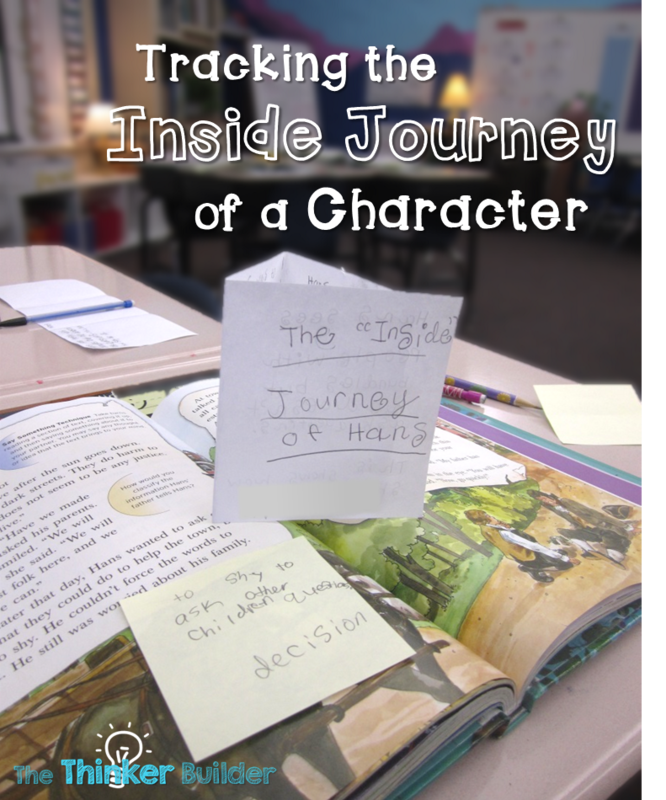 I want my students to go along on the character's journey, to track it closely, and to be affected by it. And here's a lesson that tries to address all of that. 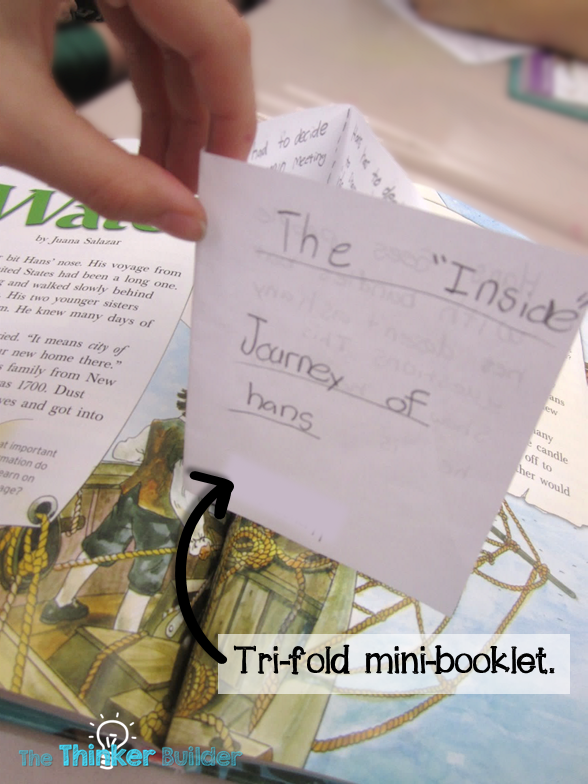 Then we used simple tri-fold mini-booklets to record these events and to develop some thinking about them. To make the mini-booklet, I pre-cut plain paper in half length-wise. I gave each student one piece and we folded it into thirds. On the front cover, we wrote "The 'Inside Journey' of Hans." 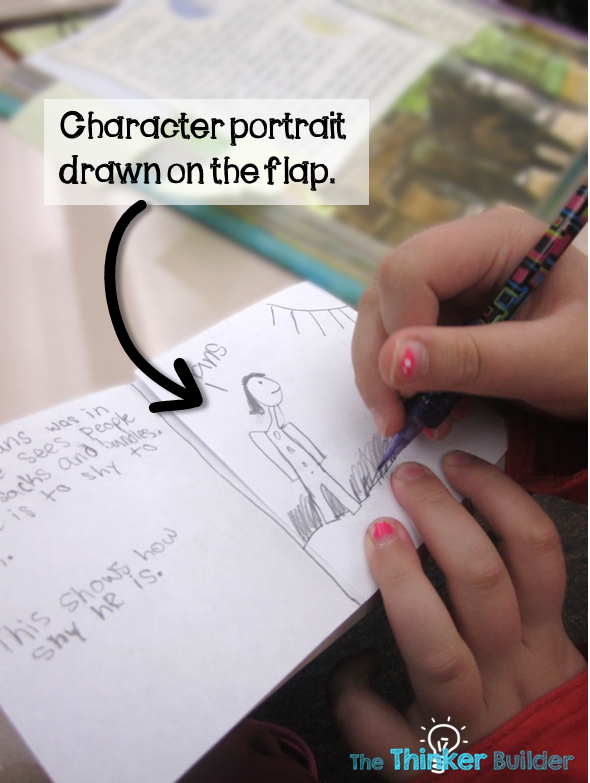 On the inside flap, I had students draw a portrait of the main character during an important part of the story. 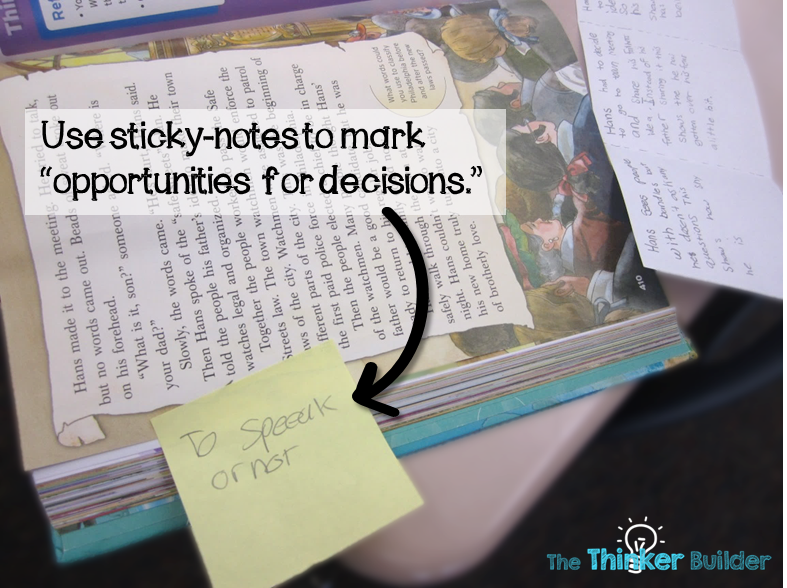 With the booklet opened up all the way, students used the three blank sections to explain the events from the story where Hans had an opportunity to make a decision (using their sticky notes for reference). Students followed this up by explaining what each opportunity showed about Hans. In the example below, you can see the student's third explanation ends with, "This shows he kind of overcame his fear." With the booklets completed, we then really dug into Hans' "inside journey." We discussed the three events we chose and what Hans showed us through his actions. 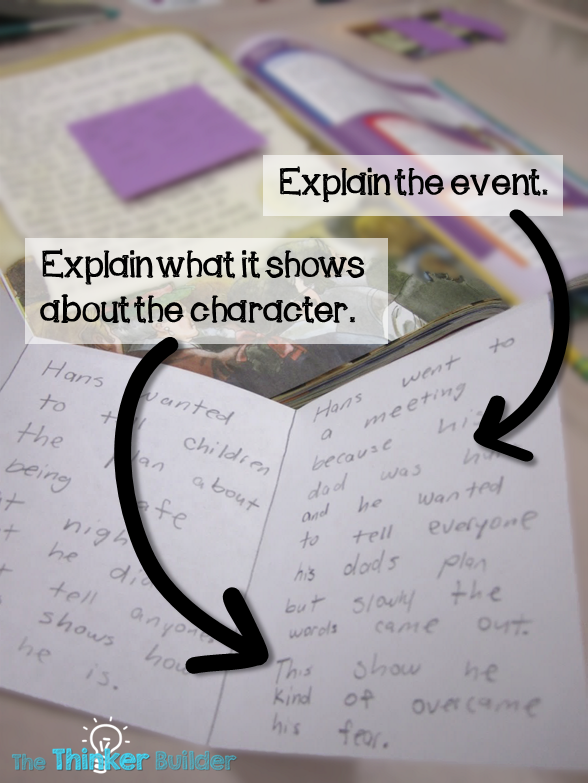 By having their booklets opened up and looking across it, students were really able to see how Hans had grown over the course of the story. It turned out to be a great tool for our discussion of Hans' journey. I'm not claiming Hans to be the second coming of Tom Joad. In the grand scheme of great characters, young Hans probably won't be too memorable. But hopefully the exercise in tracking his journey will be.